Adam Pollard delivers an in-depth video tutorial series covering everything you need to know about Insight 2 from iZotope and how to use it constructively! 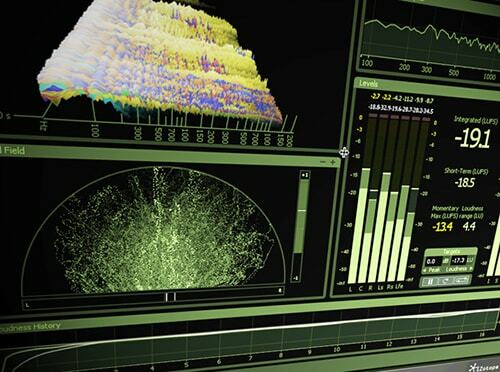 Learn how “seeing is believing” when it comes to all things audio in your productions. Adam begins by welcoming you and then jumps right in covering Insight 2’s interface, its layout, the differences between Global and Meter specific options, as well as the Reset, Pause, and Continuous Calculation buttons. Next you’ll explore Short Term vs Integrated vs Momentary LUFS, and how these are recorded visually in the ‘History’ section of Insight 2. You’ll also learn an important nuance about the “Target” line color, as well as scales, and recommended LUFS levels. Moving along, Adam goes deeper and covers topics such as “True Peak”, RMS, Scales, and a good recommended target “peak” for your signals. Sound Field, the new Intelligibility Module, Spectrum Analyzer, Spectrogram, and Loudness Overflow Automation are then all revealed and explained so you have full visual command over what’s going on in your sessions, and make the correct decisions regarding your levels and mixes. See the individual tutorial descriptions for more info. If you’re new to iZotope’s Insight 2, or just want to know more about it, pull up a chair and watch “iZotope Insight 2 Explained®” today.